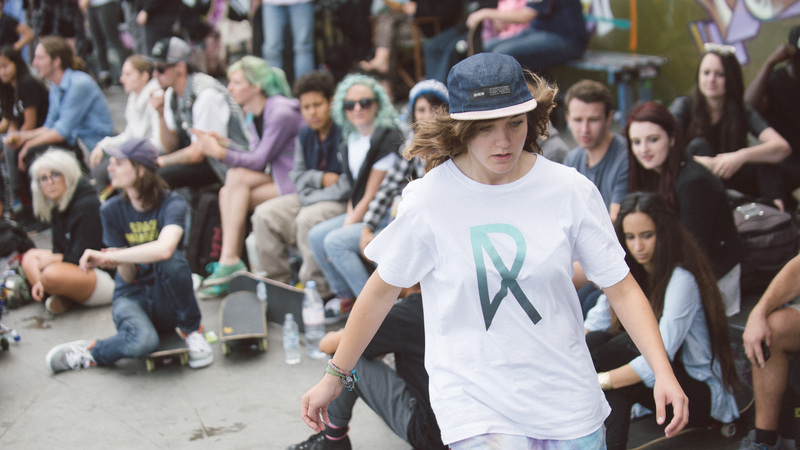 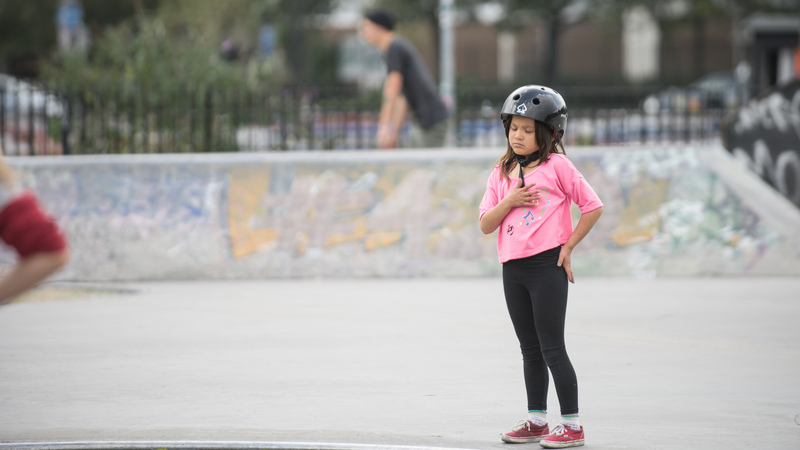 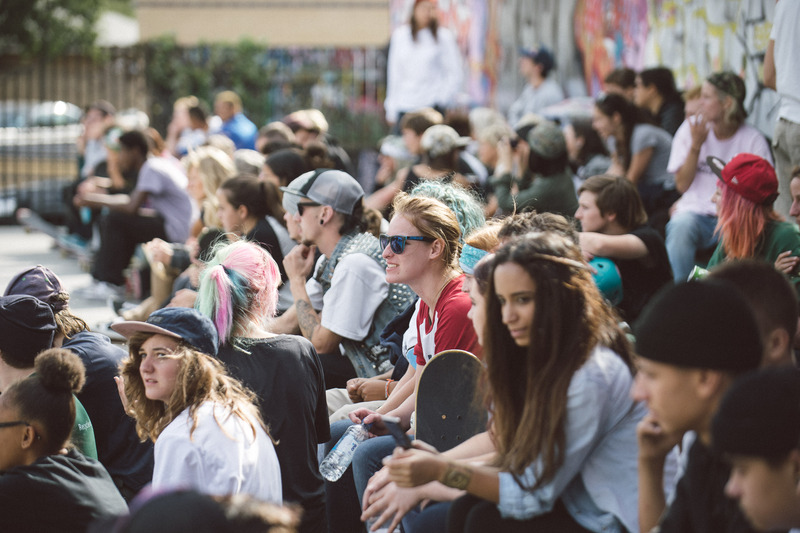 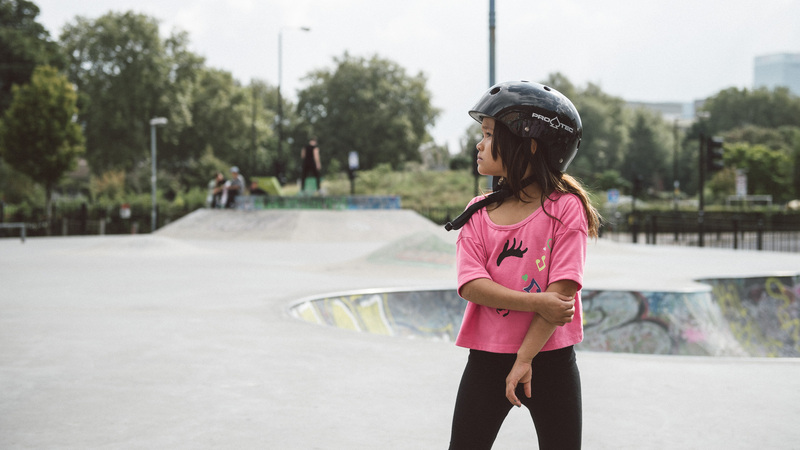 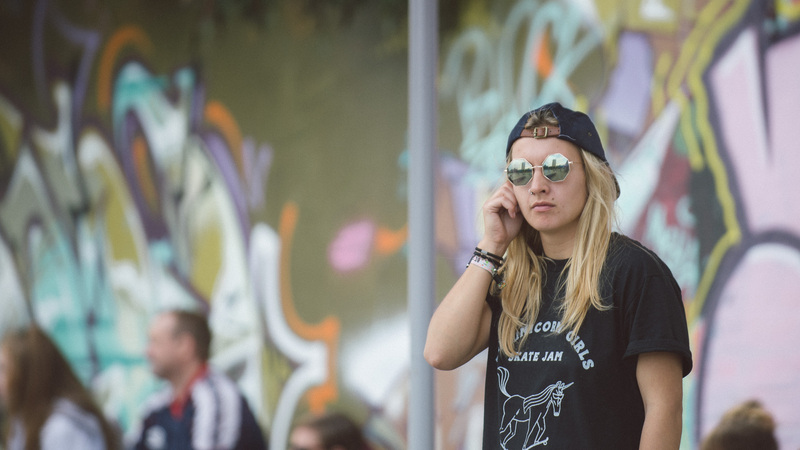 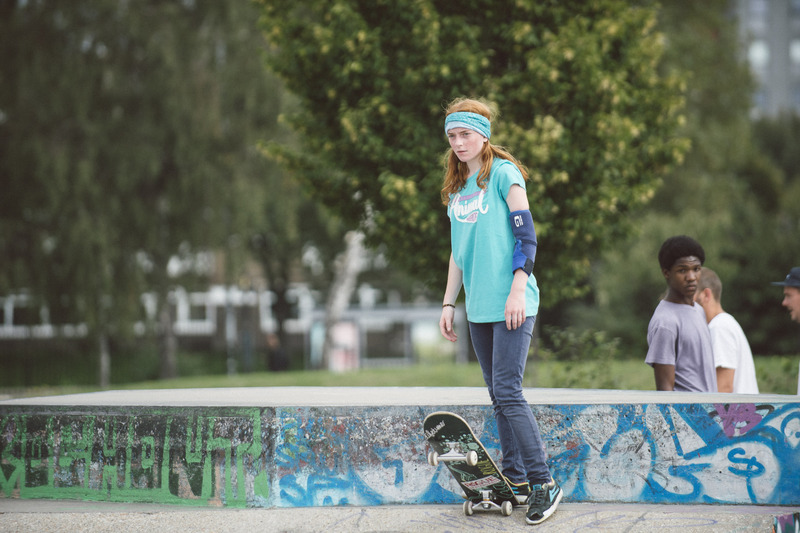 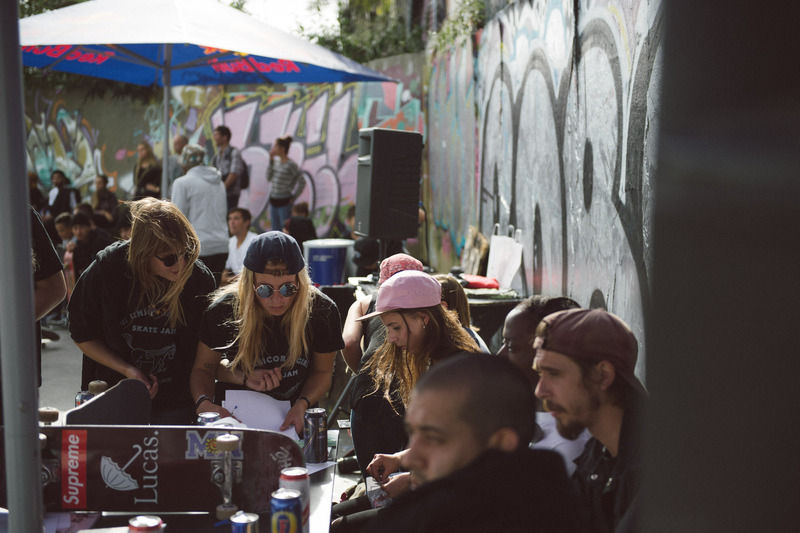 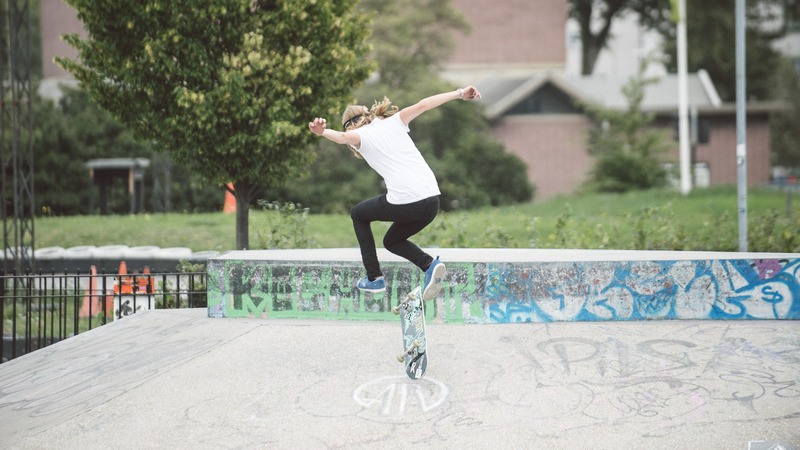 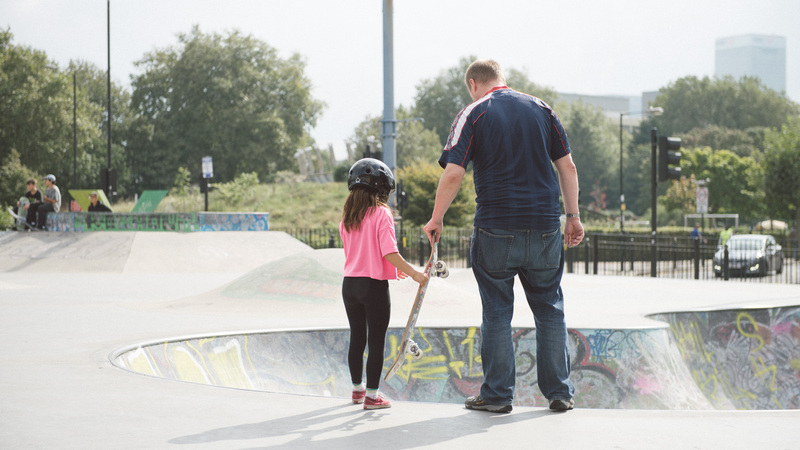 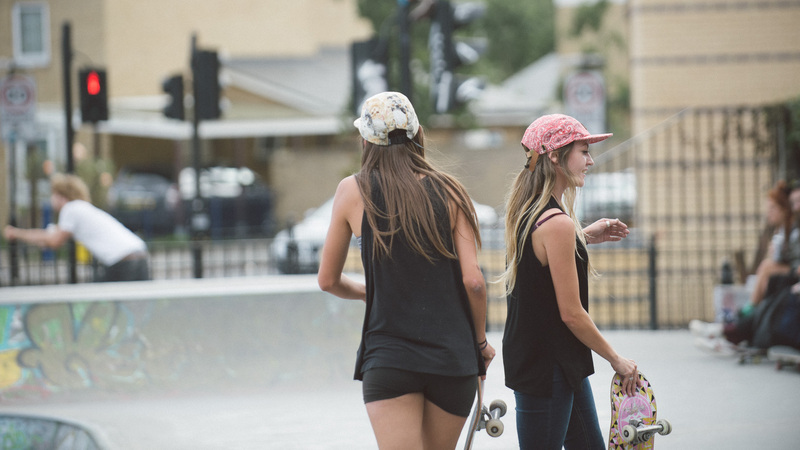 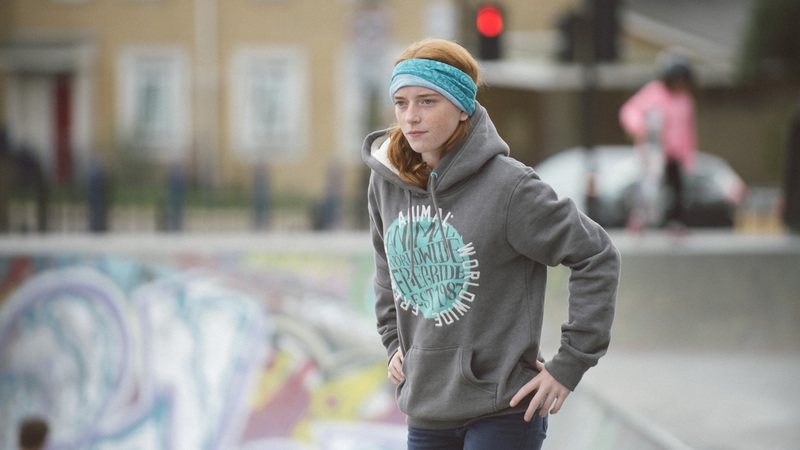 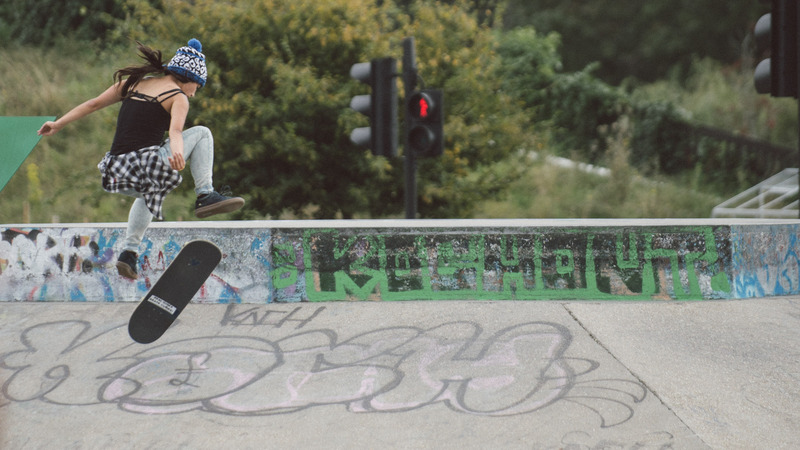 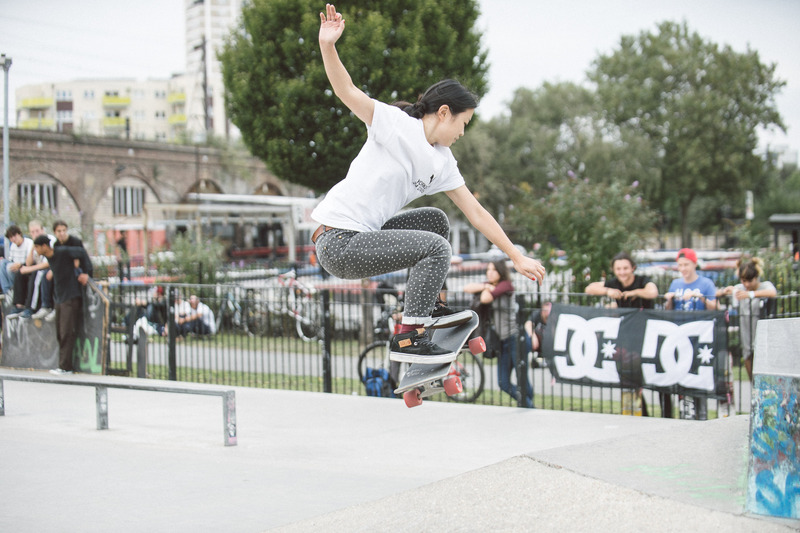 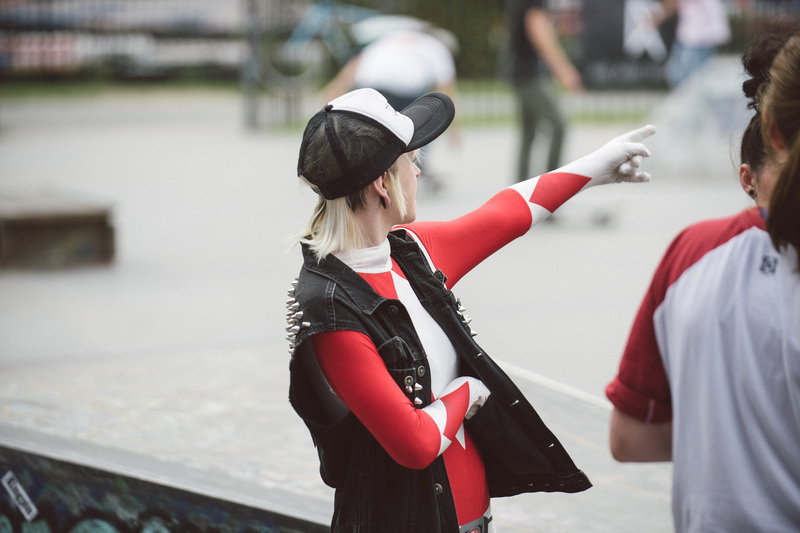 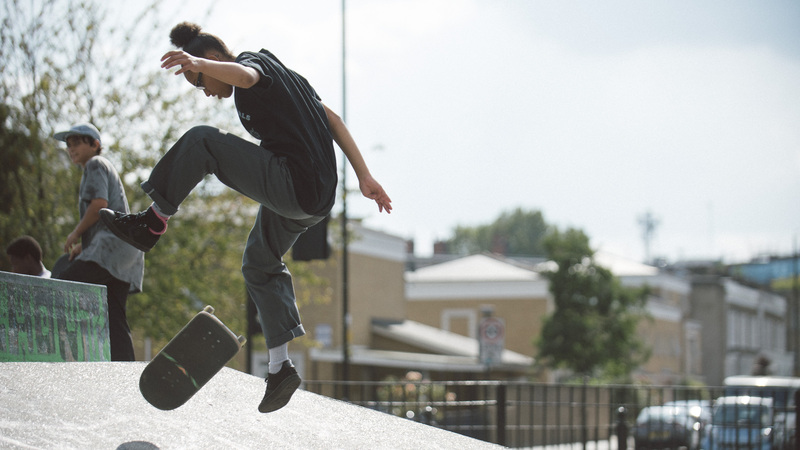 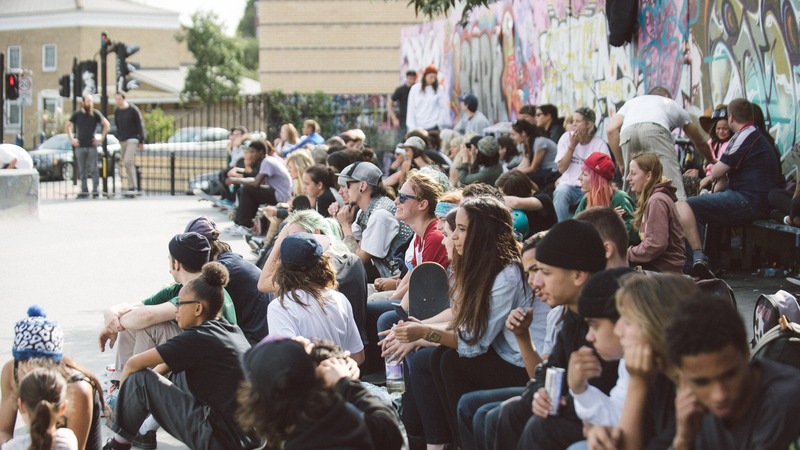 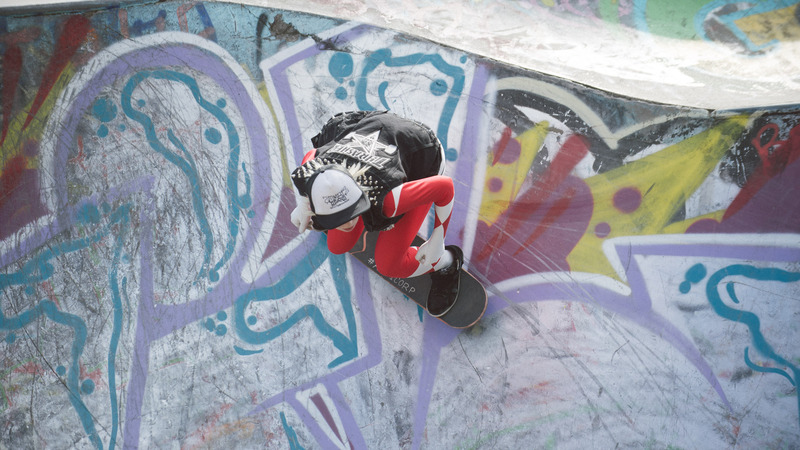 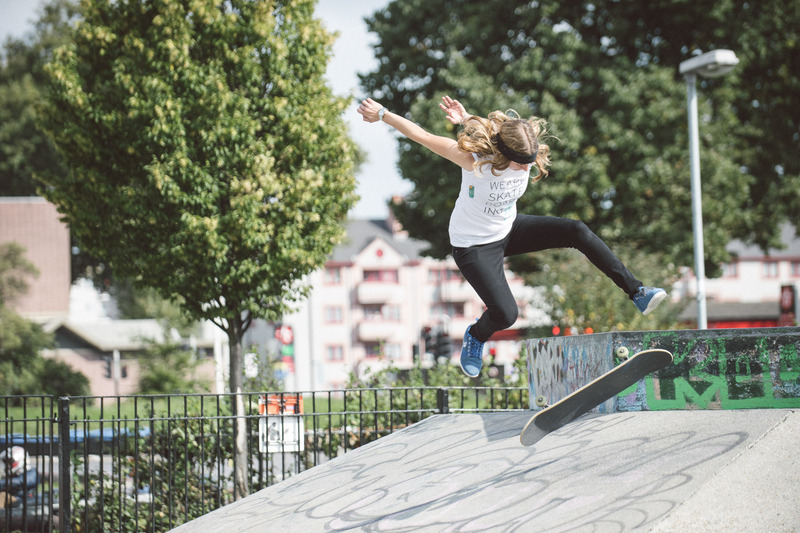 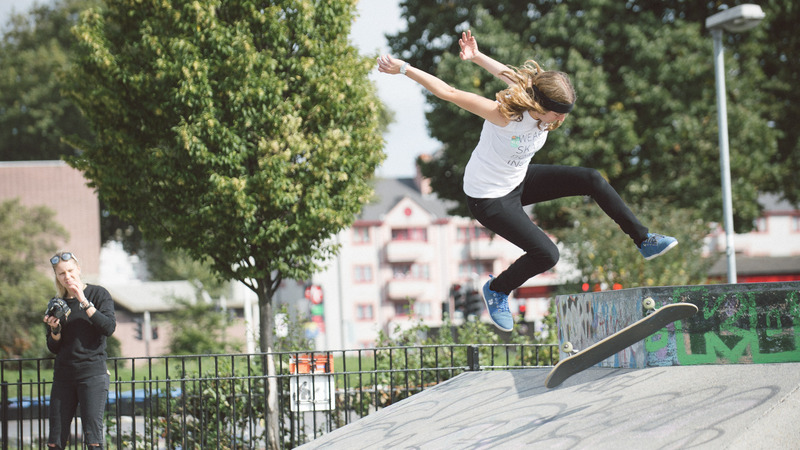 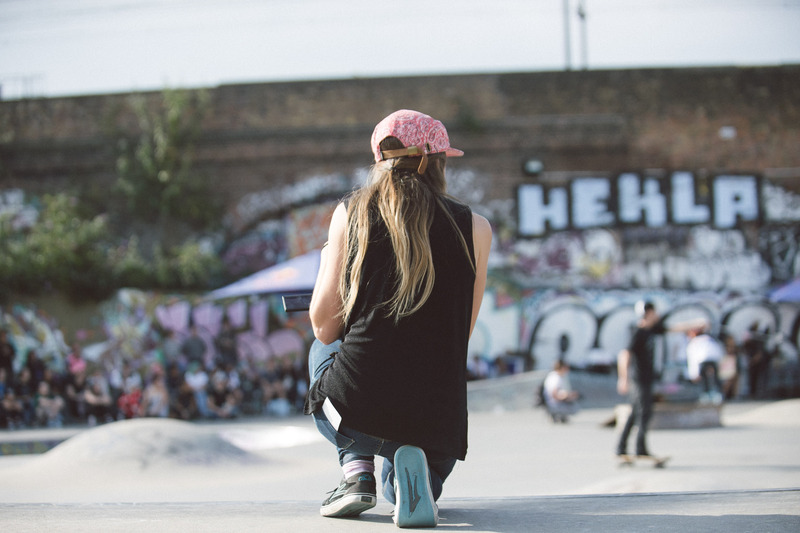 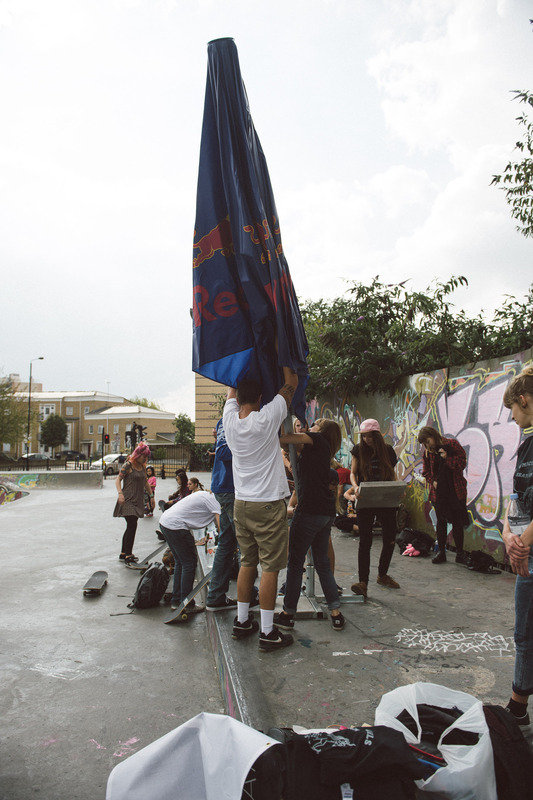 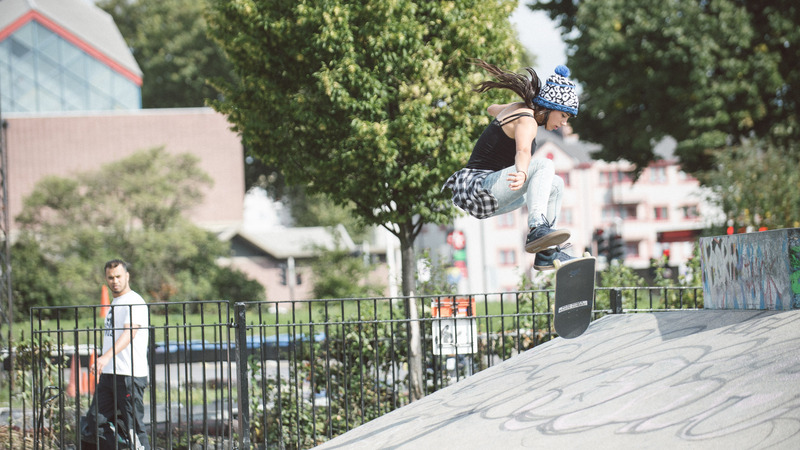 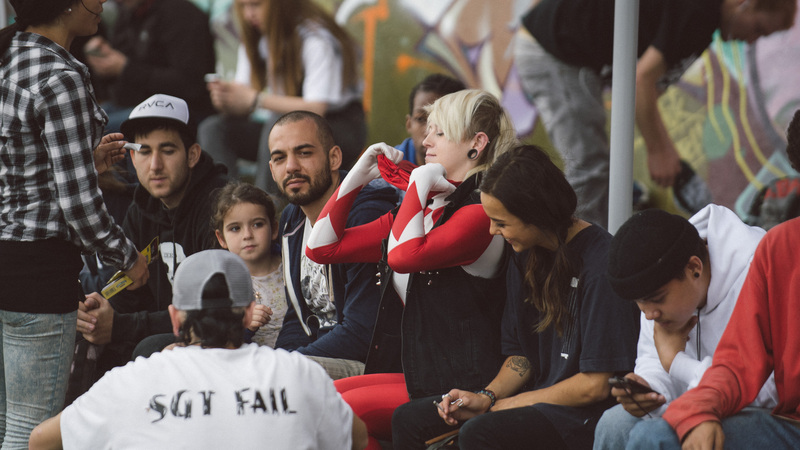 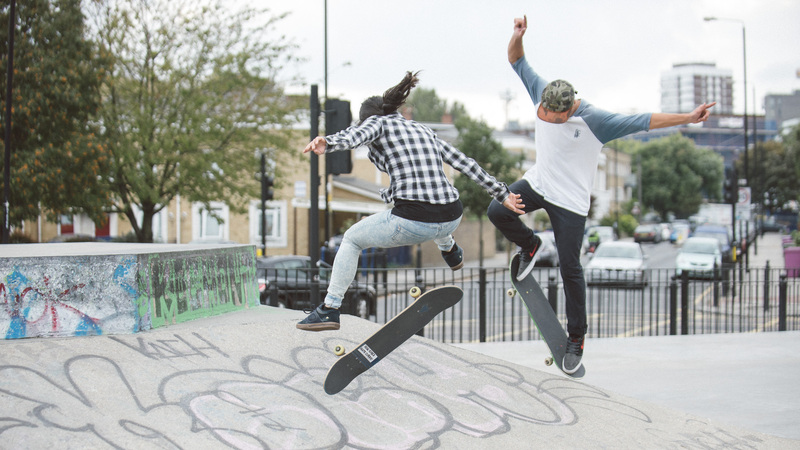 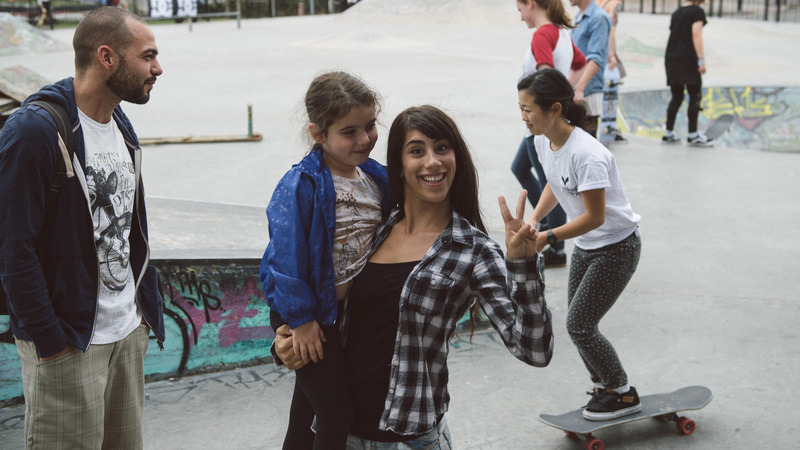 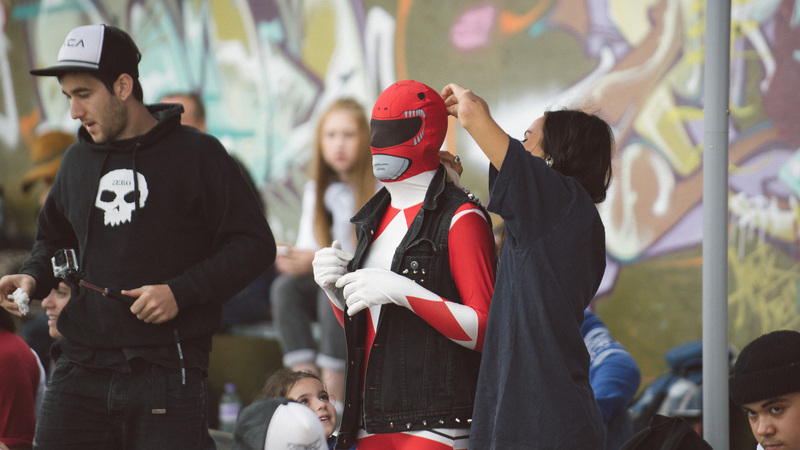 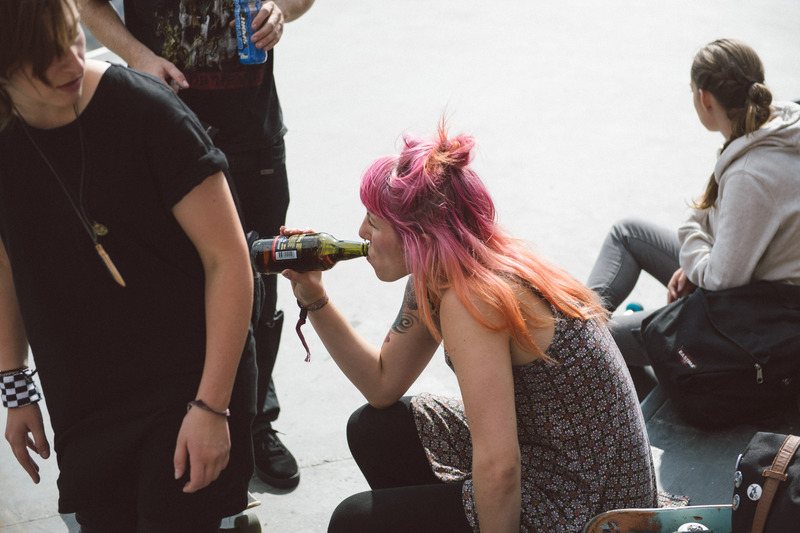 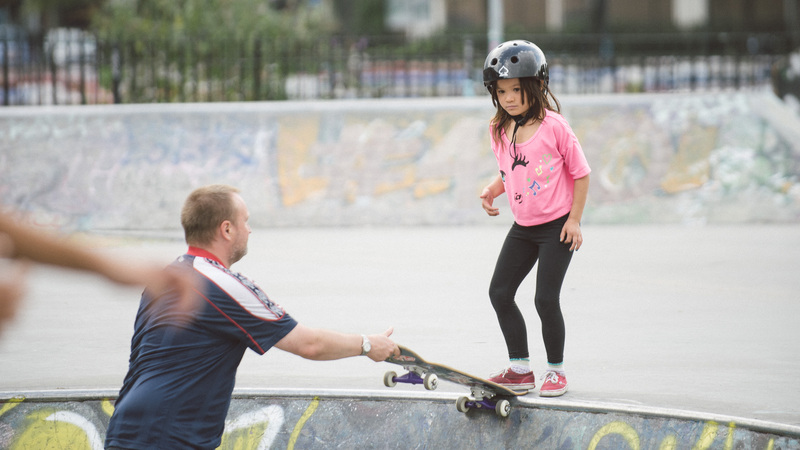 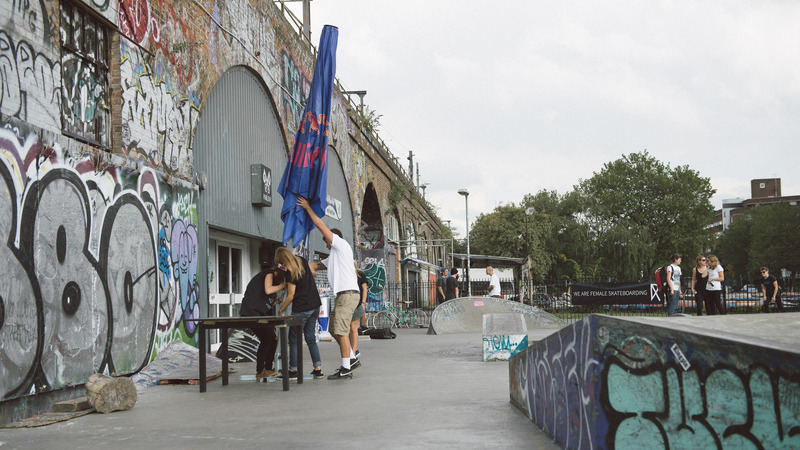 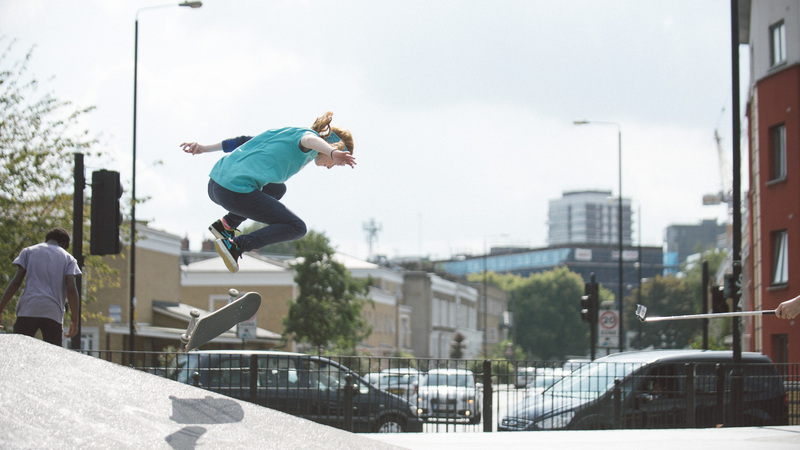 Yesterday saw yet another super rad girls event, the sun was shining (mostly) for the 25 competitors and scores of supporters at Mile End Skatepark in London. 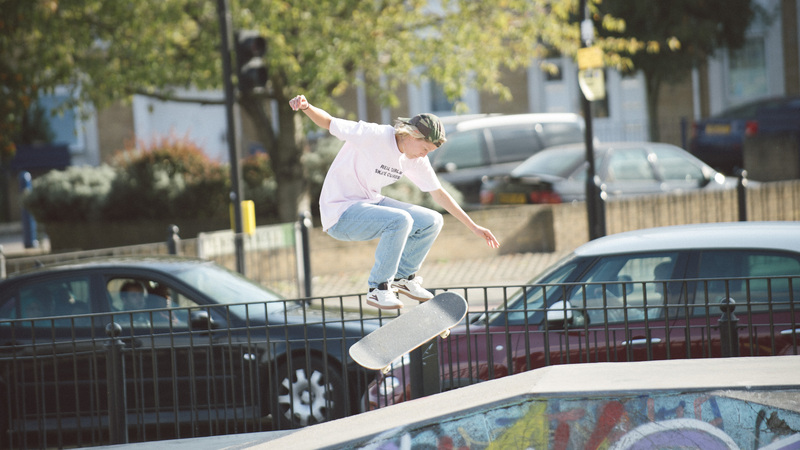 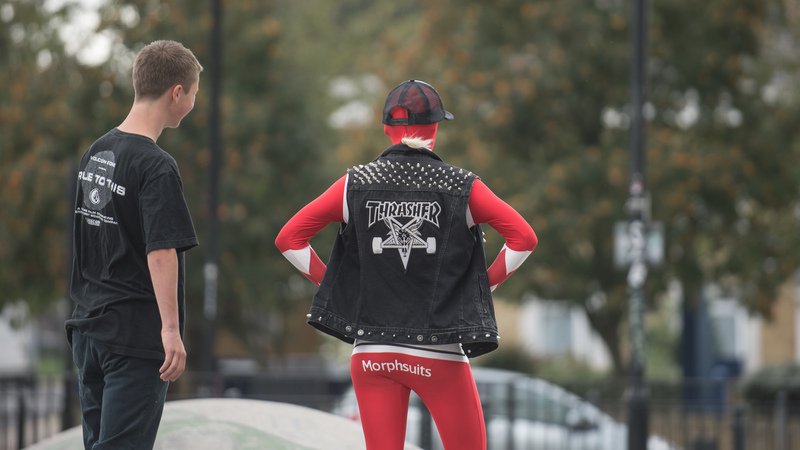 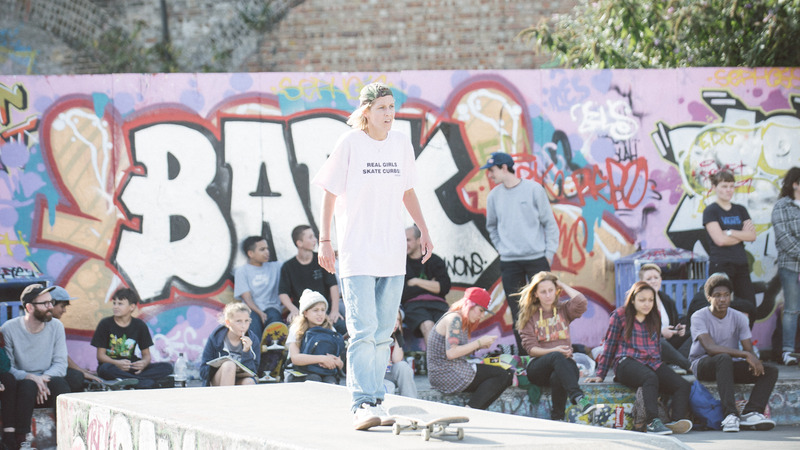 The jam kicked off a little later than expected due to the unfortunate circumstances of the night before, Parlour Skate Store was broken in to which also meant the shop was closed for the day. 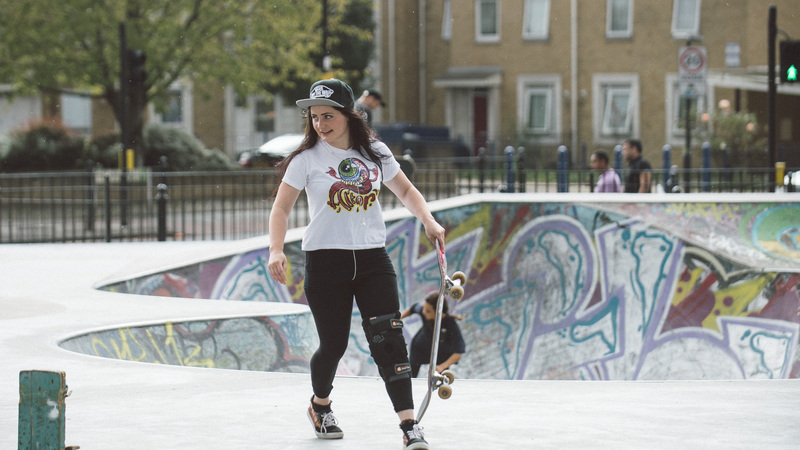 Apparently CCTV caught the idiots in the act so hopefully lady karma will be catching up with them shortly. 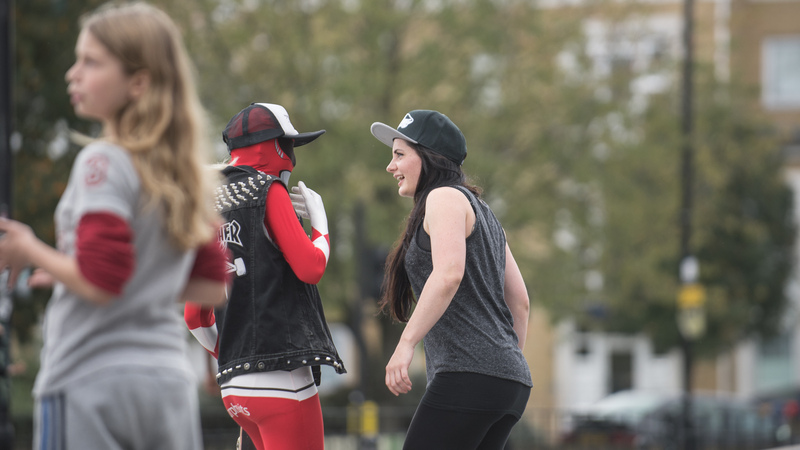 The competition was strong, in attendance was the likes of London heads Helena Long & Sam Bruce, South West girls Stefani Nurding, & Rianne Evans and much to the crowds delight, Crawley legend Lucy Adams! 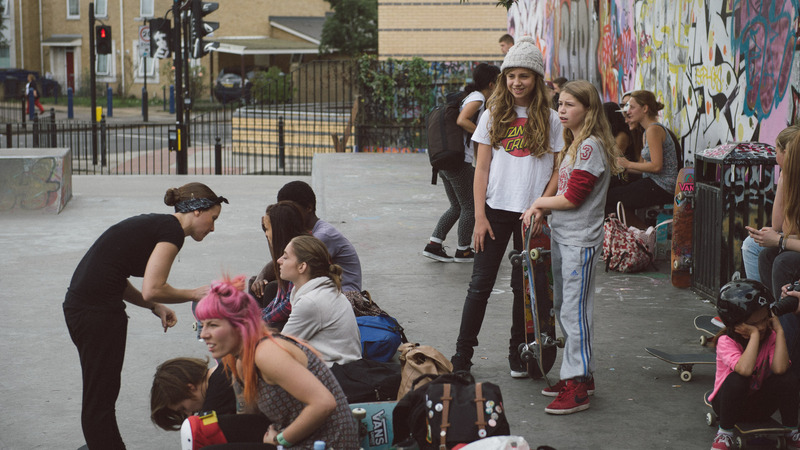 Jenna Selby of Rogue Skateboards and Rhiannon Searle of Rokeo set up shop next to the registration point trading their goods at discount prices which went down well. 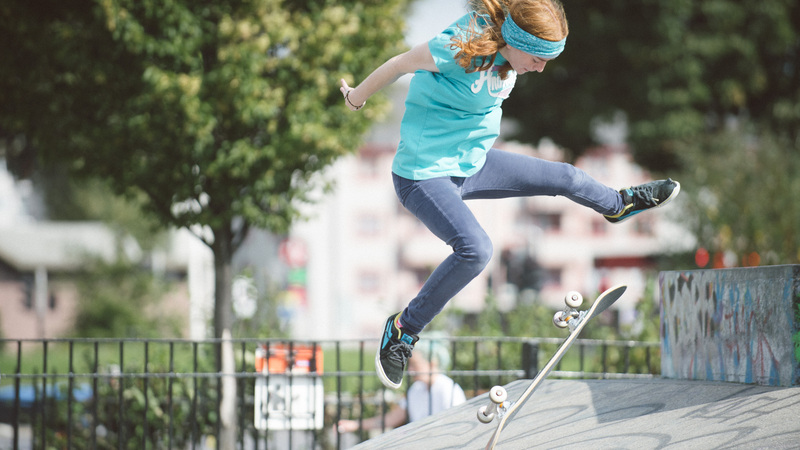 The competitions kicked off with the beginners, the young ones really went for it with 5050s on the steep bank around the bowl, rock to fakies and ollies off ledges. 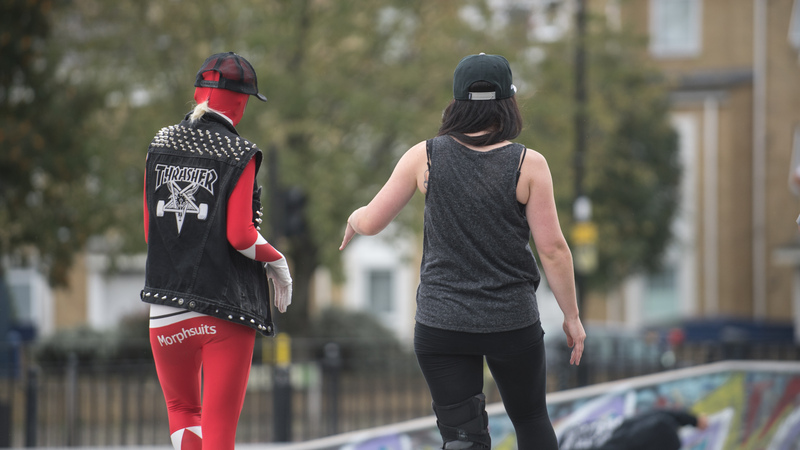 Next up were the intermediate skaters which included Carla Marx, Shelley-Georgia and Charlotte Brennan. 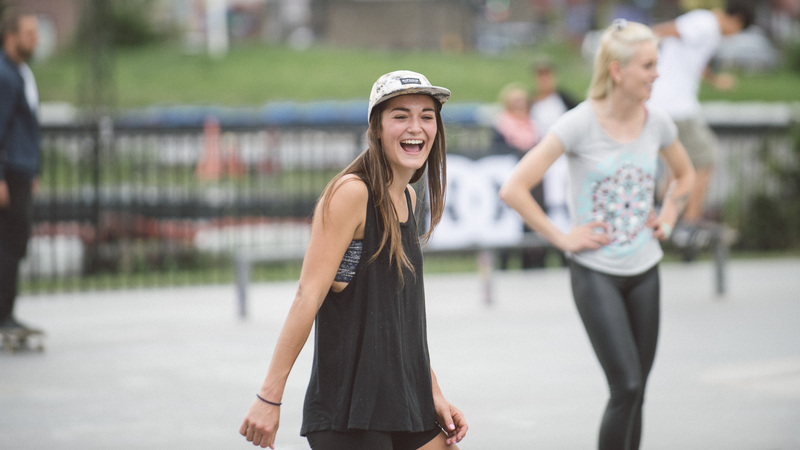 Everyone smashed it with Carla landing her frontside flip on the bank in the last 2 seconds of the run! 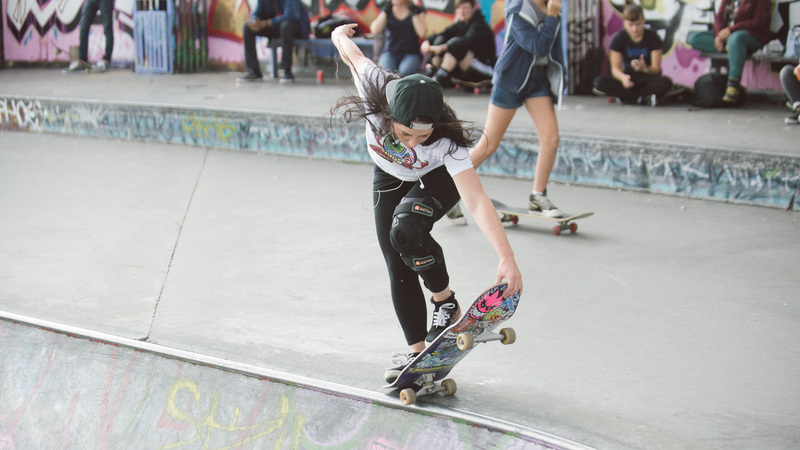 The advanced group included Stefani Nurding, Rianne Evans, Zoe Kings, Lucy Adams, Danni Gallacher, Helena long, Georgie Winter and Sam Bruce, with Lucy, Georgie, Zoe, Danni, Helena and Rianne going through to the finals. 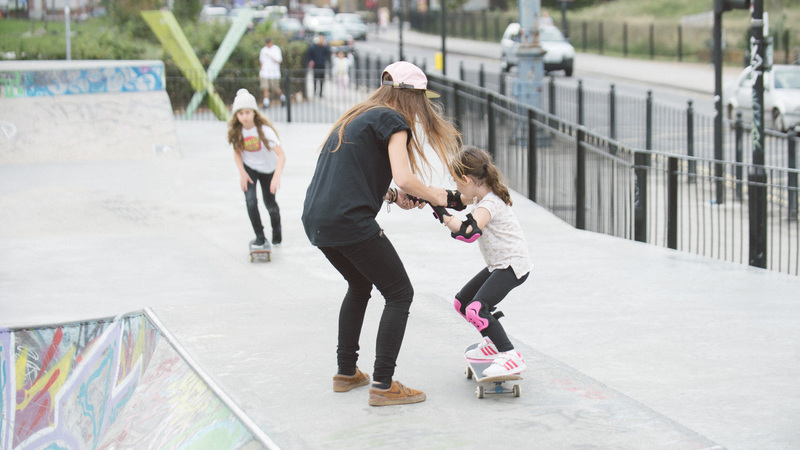 Georgie, Helena and Lucy were laying down trick after trick on the hip (as you can see in the edit above!) 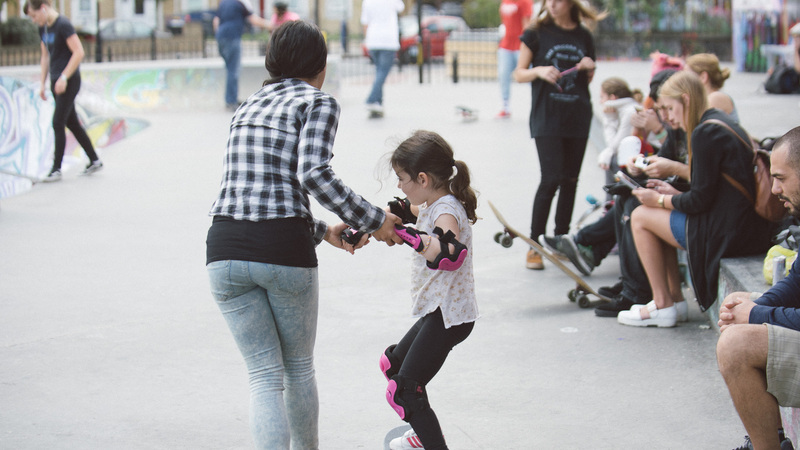 whilst Zoe cruised around the park hitting anything & everything. 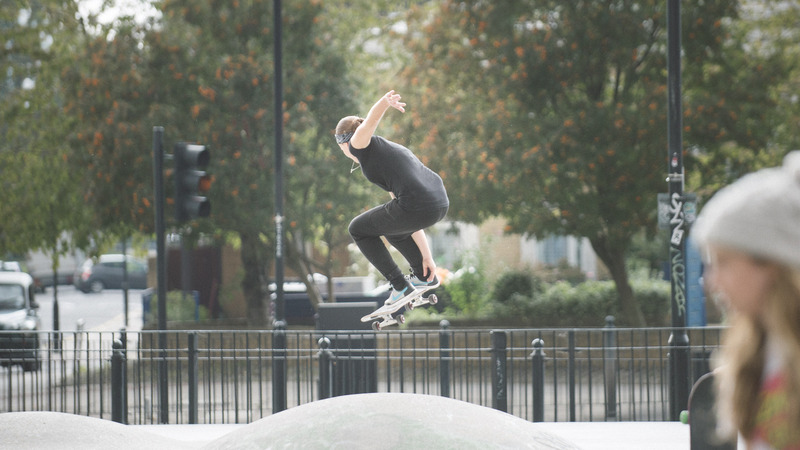 You can see the full results below whilst you take a look at some of these photos by Photographer David Lawrie and don’t forget to check out our video at the top of the page! 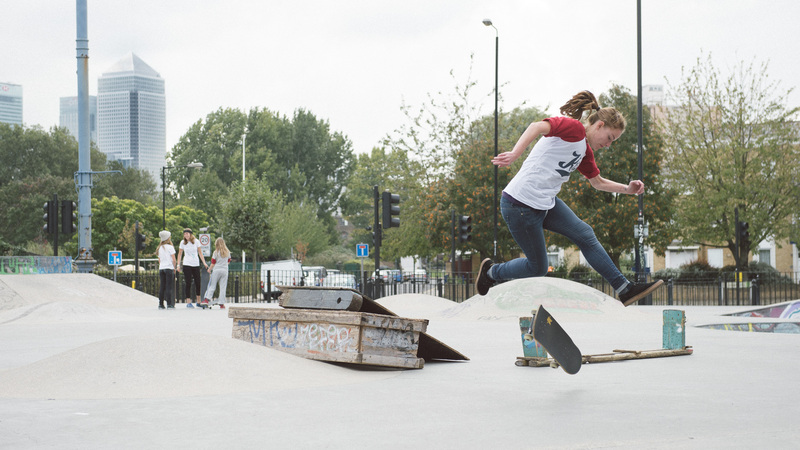 Look out for another photo gallery from Jenna Selby coming tomorrow!